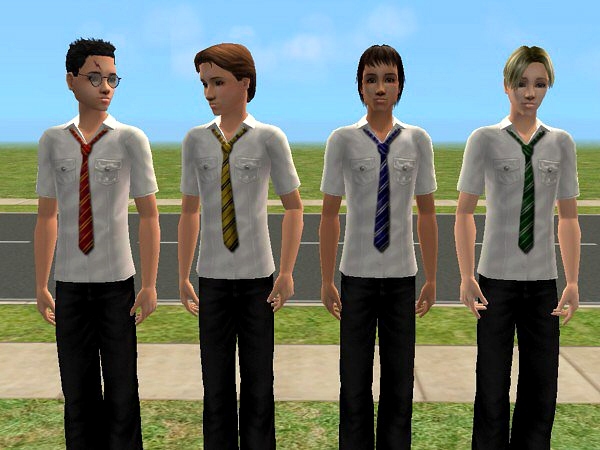 This is an updated version of my Hogwarts shirts and ties for teenage boys, fixed because the ties in the old version looked rather flat and unrealistic. 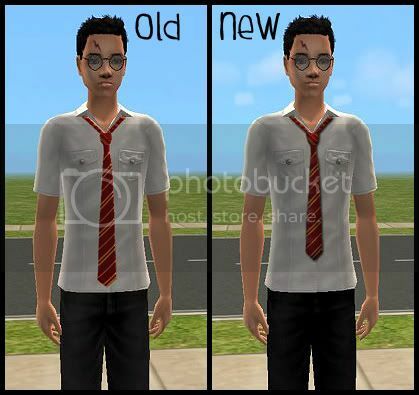 In the new version, the ties are a bit shorter, and also retextured for a better, less painted-on look. The set includes all four house colours. All items can be found under 'Everyday'. No expansion packs required.